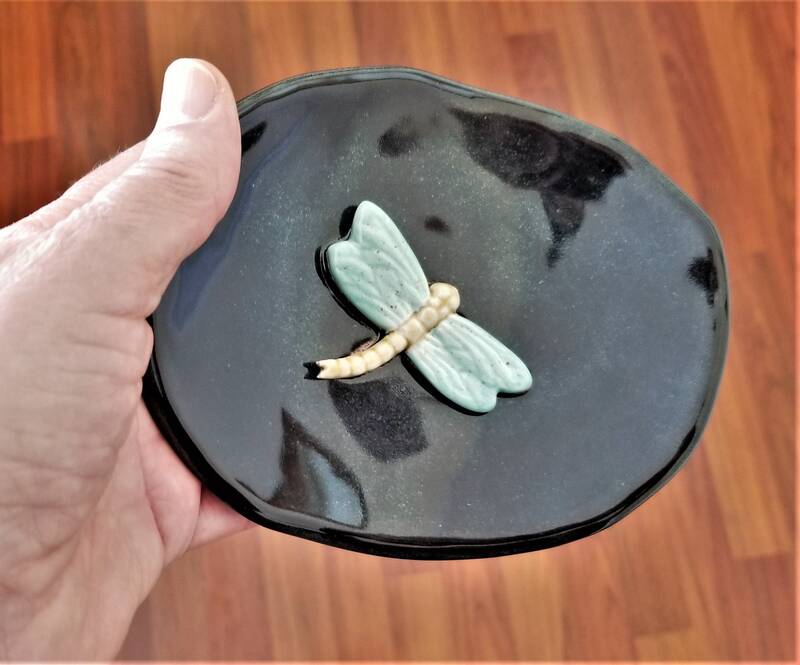 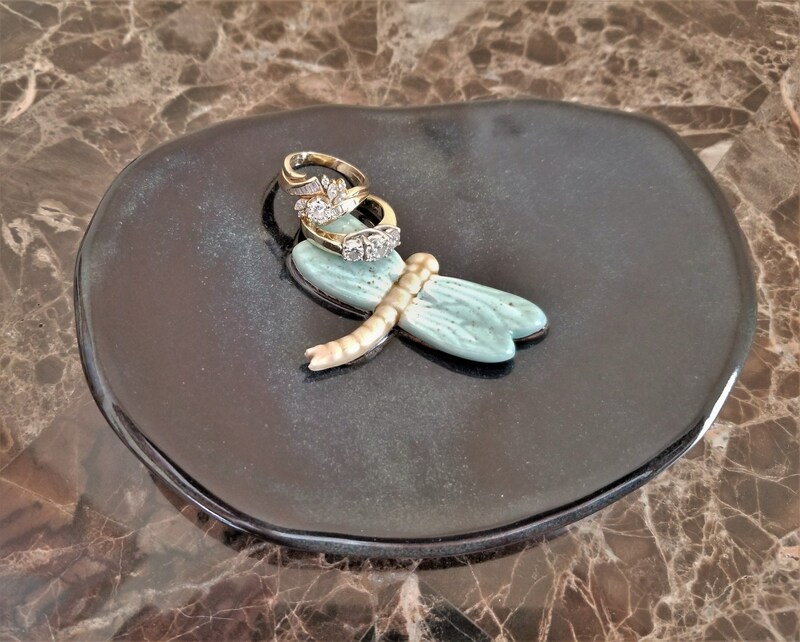 My handcrafted ceramic dragonfly dish can be used as a jewelry dish next to the sink, or on your bedroom night stand. 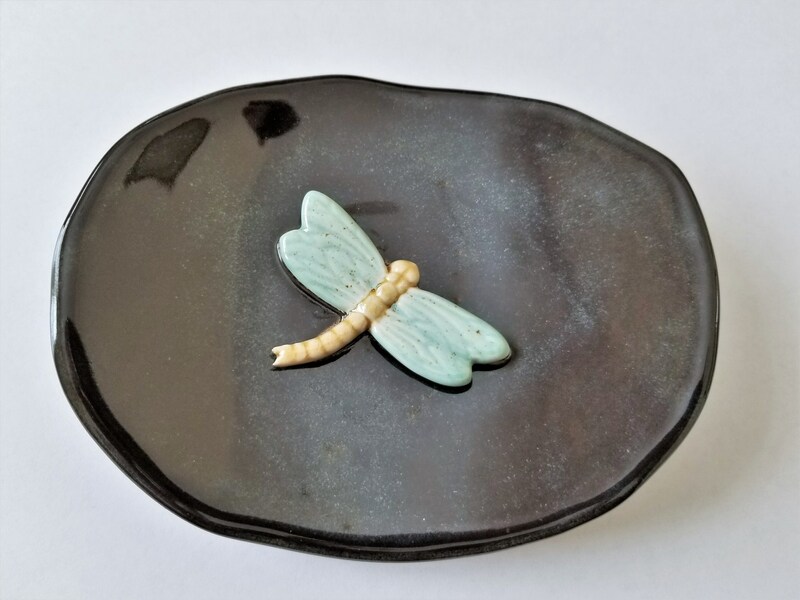 Created from stoneware clay and kiln fired to cone 5, it was glazed in a rustic brown and features a green winged dragonfly. 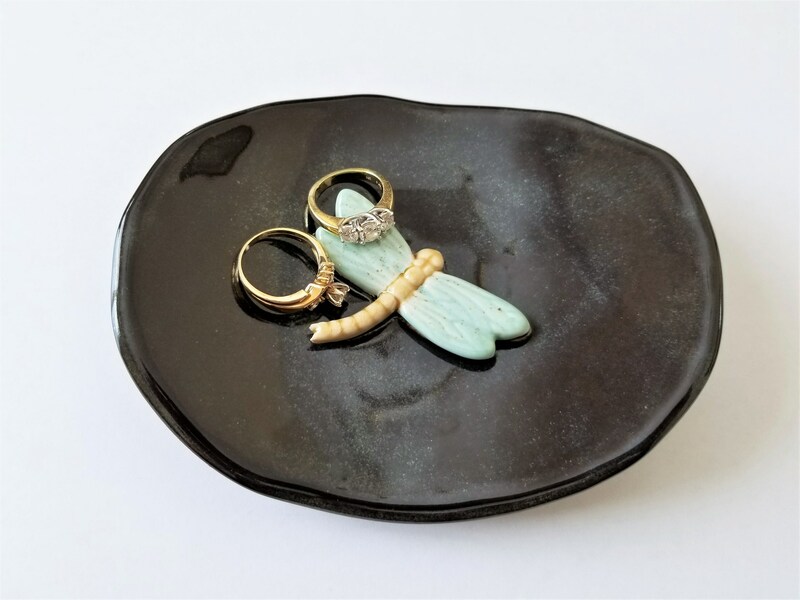 This dish measures 5" x 4.5". 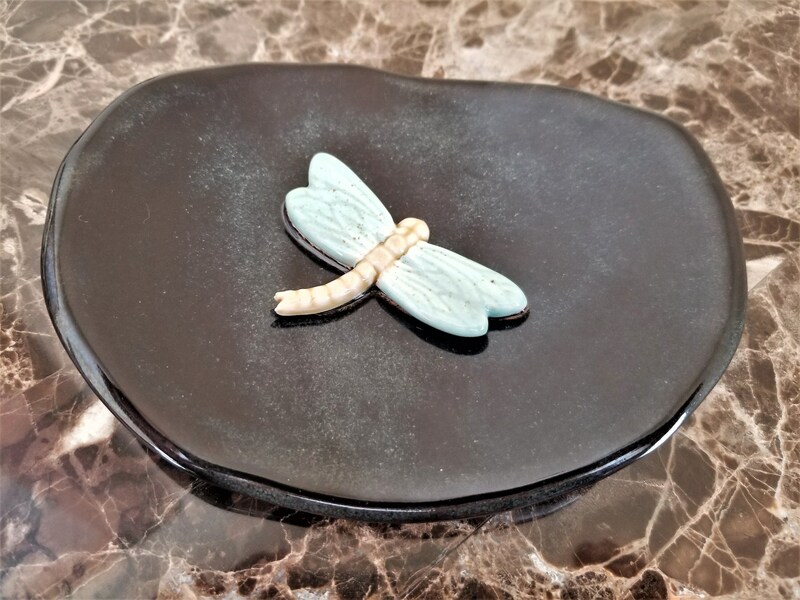 My little ceramic dishes are wonderful to have on hand for unexpected gift giving.